Estrogen is the female hormone that decreases with age. Estrogen is responsible for all the changes in the female organs. Progesterone hormone allows the uterus to be prepared for a pregnancy. At the time of menopause, women experience many uncomfortable symptoms that are due to fluctuating hormone levels. Hormone replacement therapy (HRT) seeks to relieve women from acute symptoms associated with menopause. While alleviating hot flushes, vaginal dryness and irritability, HRT also provides long-term protection against osteoporosis. But HRT is not without its drawbacks. Studies have linked prolonged use of HRT to increased instances of breast cancer. Other PMS-like symptoms may also be experienced. HRT can be administered in tablets, creams or HRT patches. Find out how HRT works on the menopausal symptoms. Learn more about natural HRT or bioidentical HRT. Menopause is a natural process that occurs due to changed hormonal conditions. Disruptive symptoms of menopause such as night sweats and hot flashes are caused due to the lower levels of hormones. Using HRT during menopause has shown benefits in preventing bone loss, especially for women who are at risk for osteoporosis. Nearly 14 million women in the U.S. alone follow some form of HRT. This is suggested along with lifestyle changes such as following relaxation techniques and making sound nutritional choices. There are some side effects of HRT but the known benefits cannot be ignored too. HRT is known to prevent or alleviate any bone loss that leads to osteoporosis. Women who have been on HRT experience enhanced sexuality and improved pelvic floor muscles. They find themselves having smoother skin and improved muscle tone and firmer breasts. It may prove beneficial in preventing Alzheimer's disease and macular degeneration. Cyclic hormone therapy involves taking estrogen pills for 25 days, switching to progestin in between 10 - 14 days and then taking a combined pill for the next 25 days. 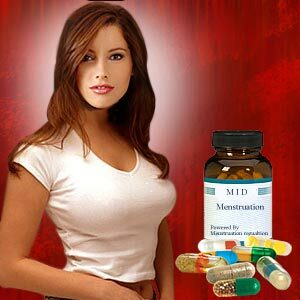 Stopping the HRT for about 4 days brings on the menstrual bleeding. The other form of administering HRT is continuous or combined therapy - whereby estrogen and progestin are taken everyday in combined form. Women on HRT complain of a bloated feeling as well as terrible headaches and fluid retention. Other associated risks of HRT are increased incidence of venous thrombosis or worsening of any existing liver condition. Long-term use of HRT is associated with breast cancer. Combined therapy of estrogen and progestin affects the breast density. Dense tissues can make for increased risk for breast cancer. Some women experience post-menopausal bleeding when on HRT. This depends on type of hormone and the dosage. This bleeding is typically called 'withdrawal bleeding' and is caused when progestin is stopped. Tender and swollen breast are yet another side effect of HRT. This condition 'mastalgia' is similar to those felt prior to the menstrual cycle. Swelling of the legs and increased weight are also noticed by women on HRT. These side effects of HRT can be alleviated with reduced salt intake and increasing physical activity and exercise. Lifestyle changes such as reduced alcohol intake and maintaining a healthy weight are HRT alternatives. Botanical extracts can also do some good as natural HRT products. Women must ensure that they consume enough calcium and Vitamin D daily so as to prevent osteoporosis in later life. Bioidentical HRT products are plant-based and similar to the hormones that women's bodies produce. Whatever be the natural source of the hormone, synthetic processing is essential to create a substance that can be used by the body. A hormone has to be micronized so that it is broken up into small pieces making it possible for the body to absorb easily. Bioidentical hormones have the similar molecular structure as that made by the body. Thus they induce the same physiologic responses. The source for bioidentical hormones is plants such as soy and yam as well as animals such as horses and pigs. Advocates of natural HRT have indicated that increasing the amount of soybeans (containing isoflavonoids) and walnuts (containing lignans) can increase the levels of phytoestrogen, which mimics the effects of estrogen when ingested in the body. But it must never be applied on or near the breasts. Women suffering from sore or irritated skin must not use HRT patches. Vaginal creams containing estrogen are yet another method of administering HRT. This reduces the feeling of dryness experienced by most peri-menopausal women. HRT patches can spark off nausea, bloated feeling, breast tenderness and migraine. Stopping HRT does not in any way accelerate the loss of bone in post-menopausal women. Estrogen that is part of the HRT stimulates the growth of the endometrium, which is shed on menstruation. But the danger of rapid and uncontrollable growth looms large. To counteract this, small doses of Progestin (a synthetic progesterone) are part of the HRT. This hormone induces menstrual bleedings and prevents build up of the endometrium.